So, you’ve got a real situation happening on your face—notably, your eyebrows—and your chemist-bought tweezers somehow seem to be making things worse… Help! With endless chatter blowing up your Insta feed with seemingly endless ‘best’ ways to tame your brows, a slew of information comes in thick and fast, and, tbh can seem VERY overwhelming. I like to compare achieving great-looking brows to a ‘makeup-free’ face; it looks flawless, effortless even, upon first glance but anyone who’s ever attempted a fresh-looking face or brows, for that matter, knows it takes some serious skill—and a whole lot of time—to get looking just so. In the hunt for answers, we went to Brisbane brow experts, Brooklyn Beauty Bar for the inside scoop on how they get brows looking super sleek. Every. Single. Time. It goes without saying that we all have our own personal preferences when it comes to our brows; your technician will discuss with you the right shape, with advice and guidance to make sure you’re completely happy. Did you know that the colour of your brows can be the defining factor between mediocre and Cara Delevigne perfection? As part of your eyebrow appointment at Brooklyn Beauty Bar, your technician will blend the perfect colour tint to help define shape your brows. Take that, crappy brow fillers! So, here’ the thing. You want great-looking, enviable brows 24/7? Then you gotta put in a little effort. Sort of. I mean, sure, you probably should be wielding your tweezers every so often to keep those stragglers at bay, but be sure not to get too over-zealous (we’ve all been there). Your best bet? Leave it to the professionals at Brooklyn Beauty Bar and call it a day. We hate to point this out, but sometimes going to a beauty salon can be quite a daunting—and sometimes stressful—situation. Between deciding what treatment you actually want (read: need), to fitting in a session on your lunch break or hectic weekend, it can all feel quite, er, un-chill. So of course the crew at Brooklyn Beauty Bar have navigated this, too. 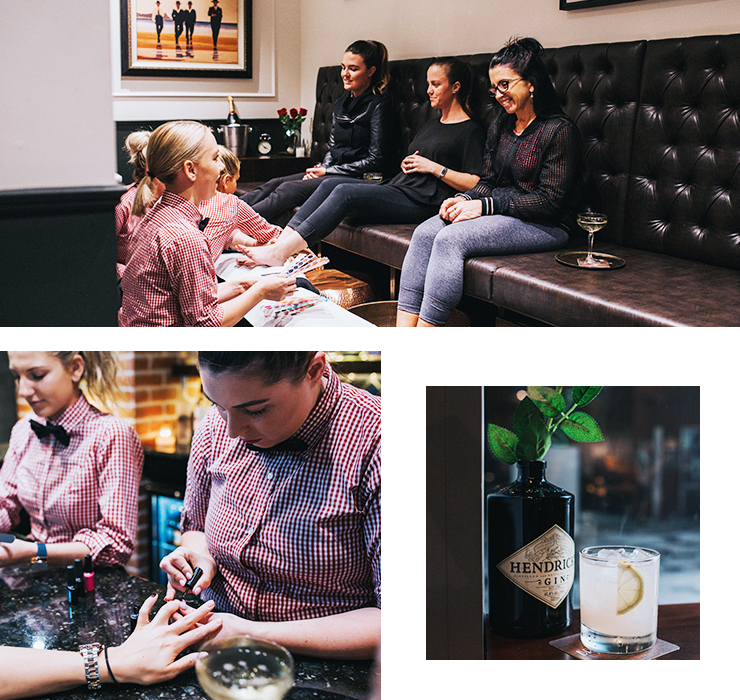 From their Brooklyn NYC-style aesthetic (not a pink butterfly or stark white room in sight) to the incredibly comfortable (and luxe-looking) leather Chesterfield treatment chairs, to the fact that you can sip on your favourite cocktail or glass of champagne courtesy of their fully stocked gin and champagne bar, this is so much more than your average Brisbane beauty salon. Want to see for yourself what all the fuss is about? Book your appointment at Brooklyn Beauty Bar, and we guarantee your eyebrows will thank you for it. Editor's note: This article is proudly sponsored by Brooklyn Beauty Bar and endorsed by The Urban List. Thank you for supporting the sponsors who make The Urban List possible. Click here for more information on our editorial policy.